unit 2430, 4th floor, tower 3, Shangdu SOHO, No. 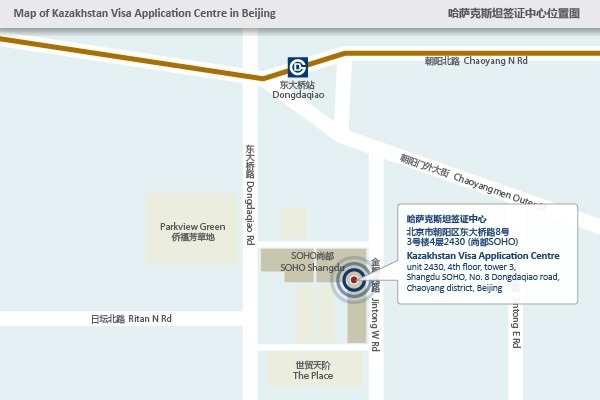 8 Dongdaqiao road, Chaoyang district, Beijing, 100020, P.R. China. Line 6: Dongdaqiao Station, Exit D2, then walk south for about 700 meters. Fangcaodi Bus Stop: Served by bus routes 28, 43, 120, 126, 403, 673. Dongdaqiao Road East Bus Stop: Served by bus routes 75, 98, 101, 109, 112, 118，140，350，433，615，650. Southbound: Proceed south along Workers’ Stadium East Road to Dongdaqiao Road; Shangdu SOHO is on the east side of the street. Northbound: Proceed north from the Yong’anli Road traffic intersection along Dongdaqiao Road to the Dongdaqiao Road roundabout, and turn left at the traffic light onto Dongdaqiao Road; Shangdu SOHO is on the east side of the street.